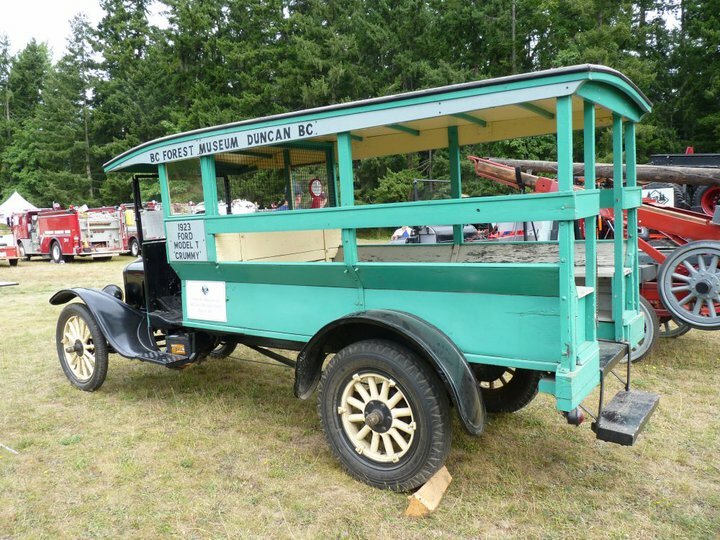 The huge success of last year's Antique Truck Show has led to another event this summer! 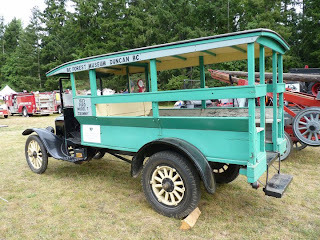 On Saturday and Sunday, August 20th and 21st the 2nd Annual Antique Truck Show will be held at the BC Forest Discovery Centre. Seventy vintage vehicles were on site last year and many were featured in live parades around the site. This event highlights the involvement of lumbering and logging vehicles in the development of the forest industry in the Cowichan region and coastal British Columbia. Visitors can get close up and personal with the machinery! The Centre has added a cool new piece of equipment to it's collection this year with the donation of a 1952 Chevy by Ken McKinnon. This truck is the original Pacific Builder's delivery truck and has been restored to pristine condition. You will be able to see it at the truck show representing the lumber industry in British Columbia. Other activities happening at the truck show include hay rides for the kids and steam train rides leaving Alderlea Station every half hour from 11:00 am to 4:00 pm.